Even in the summer, when it’s the time of year to go on vacation and lounge in the backyard soaking up the sun, our lives can be busy and stressful. Even though the kids are out of school, work doesn’t stop, chores keep adding up, and the house still needs to be cleaned. So with all of life’s commotion, have you been able to put aside any time for yourself? If not, is it time? Whether you’re a parent, a busy student, or someone just passing through Estes Park, Riverspointe Spa wants to reward your hard work and non-stop efforts with luxurious spa treatments, a relaxing massage, and an indulgent manicure and pedicure! 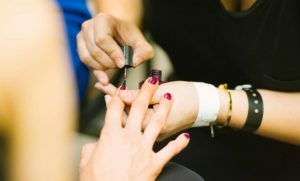 Whether you’re looking for a new hairstyle, a fresh nail color, or a facial, the employees at Riverspointe Spa are highly professional and have certifications in their industry. We employ registered massage therapists, cosmetologists, estheticians, and nail technicians that are all hand-picked for excellence. You can be confident that we will provide you with everything you need to fully relax and enjoy a well-deserved day off at the spa. The moment you come in, you will be welcomed and shown around, and you will feel at home right away. From comfortable linens to top-notch products, and an exceptional range of spa treatments, your whole body and mind will be able to relax and unwind. In addition to offering quality customer service, Riverspointe Spa is passionate about offering clean, environmentally-friendly, and non-toxic products. If you’re coming in for a pedicure, we have non-jetted thrones that protect against bacteria and every guest will get a new recyclable foot liner. Every massage guest gets Zen Organics lotions, known for containing no Parabens, no T.E.A, and being Sulfate-free, and free of any artificial colors or fragrances. For everyone who wants a facial, we use Phytomer marine skincare products that are full of naturally active ingredients, and will produce hydrating, gentle, and visible results. Facials: Browse through our selection of facial packages that will help you unwind and give your skin a renewed look. We offer anti-aging facials, microdermabrasion, peels, dermaplaning, and more. Massage: One of our more popular spa treatments, you can look forward to relaxed muscles and a calm mind. We offer Swedish massage, Ashiatsu, prenatal, hot river rock, reflexology massages, and more. Manis and Pedis: Give your nails a polished look with a professional manicure and pedicure. Enjoy all-natural products in a relaxing and sanitized environment. Wedding hair and makeup: We also have a full salon so you can get ready for your big day! Packages can include hair and makeup trials to ensure you look your absolute best. Body Treatments: Immerse your whole body to experience the ultimate relaxation. We have a green tea and crushed rice body glow, altitude adjustment wrap for anyone visiting Estes Park from out of town, seaweed wraps, and more. 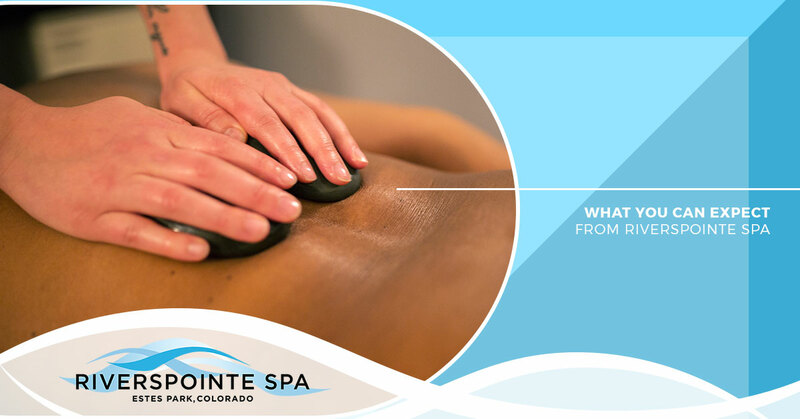 If it’s time to indulge and treat yourself to a range of spa treatments, come to Riverspointe Spa in downtown Estes Park. Our staff, our quality products, and full salon will provide you with a truly relaxing experience.